I stopped into our local Hy-vee Wine and Spirits today, to pick up some things to go with that delicious bottle of Crown Royal Salted Caramel. Yes, I’ll be sharing a cocktail in a few days but today I wanted to tell you about a game I spotted. 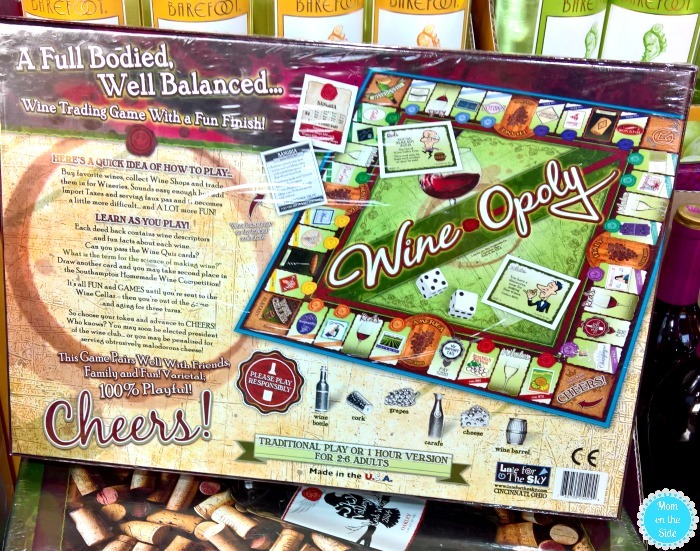 Nestled among the bottles of Barefoot Wine was Wine-Opoly! The Monopoly Board Game for Wine Lovers, Wine-Opoly will have you buying, trading, and learning all about wine! How fun would this be?! I’m thinking ladies night where each person brings their favorite bottle of wine to share. Maybe even some delicious tortilla pinwheels to snack on while you play Wine-Opoly. Played similar to traditional Monopoly, you start out by choosing your Wine-Opoly token that includes a wine bottle, cork, wine glass, cheese, grapes, and a carafe. Then, players buy favorite wines, collect bunches of grapes and trade them in for decanters. There are import taxes and serving faux pas tossed in the mix to make it a little challenging. This is a game that will have you drinking while your thinking because each deed back contains wine descriptors and fun facts about each wine. Oh and instead of being sent to jail, you get sent to the Wine Cellar to age…which doesn’t sound half bad! 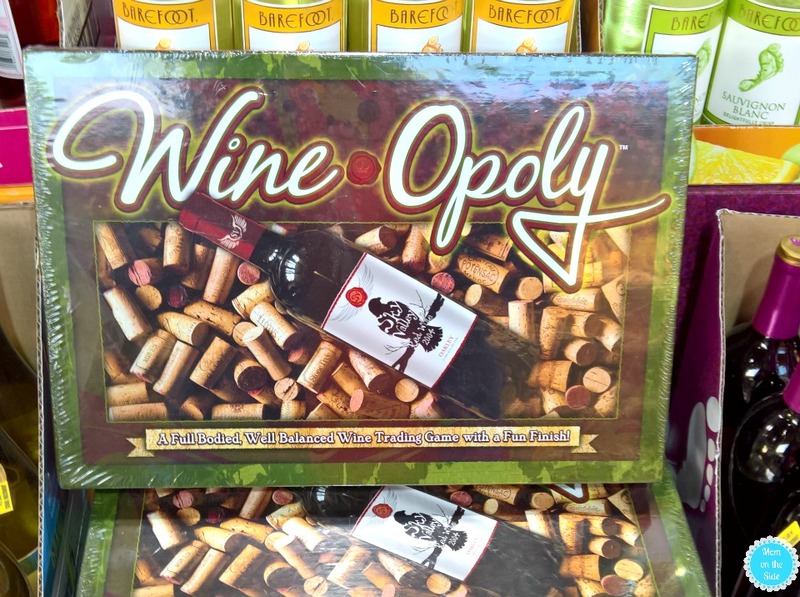 Order Wine-Opoly for your next get together or adult game night!